Whether you’re catching a flight or touching down at Auckland Airport, our taxi gets you there and gets you out easy. When arriving, pre-book ahead of time and your driver will meet you at Arrivals at no extra cost, or simply jump in an Auckland Co-op taxi at the Airport rank right outside Door 4 at Domestic Terminal and Door 8 at International Terminal. Finding our taxis is straightforward – just look for a white vehicle and a Blue Bubble on top. We’re the preferred corporate taxi company for the majority of the Auckland business market, and with good reason. 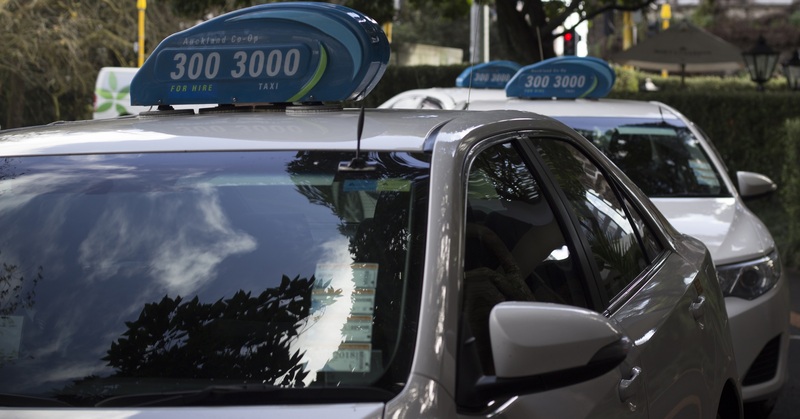 Auckland Co-op Taxis is the largest taxi fleet in the city, and all cars are maintained to a high standard. Continuing fleet improvements ensure that new modern cars are added to the fleet continuously, as older cars are replaced. We also have a full Sales & Marketing team, and this team ensures that all corporate customer needs are met. An account manager from ACTS is in regular contact with business clients to ensure that all aspects of service are up to expectation. Opening an account with us gives you and your company the benefits of being invoiced monthly for your nationwide travel, as well as a range of specialised reporting. This capability ensures that your company is able to collate, track, expense and account for nationwide travel all through one account. All reporting and invoicing is administered by our partner company TaxiCharge. We have the largest taxi fleet in Auckland with 700 white, late model vehicles. We aim to provide our passengers with the best service and the best vehicles, while remaining committed to reducing our environmental impact. From 2008 we have been phasing out petrol only cars as part of our environmental policy. Our aim is that our entire fleet will consist of more fuel efficient vehicles. All our vehicles are registered and carry a current Certificate of Fitness (COF) with the interior and exterior condition of each vehicle monitored through the COF process and our Quality Assurance Monitoring programs. The complaint management process and Demerit Point Structure (DPS) ensure our driver standards are maintained. We conduct additional inspections of the service records and current running condition of all our vehicles. The high standards of our dedicated inspectors have ensured our continued partnership with our key corporate account holders. Our sedans are licensed to carry four passengers. We have vans that cater to the special needs of disabled customers. Our Total Mobility Vans include wheelchair lifts and specially trained drivers. Auckland Co-op Taxis is also part of the Total Mobility Scheme and cards are accepted in all vehicle types. As part of our commitment to providing an excellent service, we have a range of vans available for hire. Our maxi vans are licensed to carry six to eleven passengers. This provides you with the choice to easily transport a larger number of people. To ensure a van is available for you, please book in advance. If you require taxis for a large event, we can set up a taxi rank onsite and provide a taxi marshal at no cost to you. Our marshal will ensure that there is a steady stream of taxis at the event to transport guests and staff to their next destination. The marshal maintains constant contact with the call centre to ensure available drivers are directed to the event location. The marshal can also be charged with handing out voucher cards to guests or staff members as they leave the function, providing a safe and secure method of payment under your account. To request for taxis and a marshal for your event, send us an enquiry with the finishing time and date of your event, number of guests attending and number of taxis required. Booking through our app gives you the ability to pay through the app as well, either by credit card or by simply saving your account number and typing in your cost centre on the go. The app lets you see available taxis in your current location, as well as this, it shows your taxi as it drives toward the pickup address. Download now. You can email your booking through to our Quality Desk and Call Centre which is manned 24 hours a day, 7 days a week. Recommended for pre-booking for a large group. If you wish to streamline how you book taxis within a large establishment, please contact us to discuss the options available for high frequency bookings.